Singer/songwriter Enrique Nunez is performing on the Latin America/Caribbean Stage on Saturday at 1 and 3:30 p.m. and Sunday at 1 p.m.
(Option of early departure on 8:45 p.m. flight from Santiago to Miami). Drive to Holguin airport; fly to Miami or travel independently by bus to Camaguey, Santa Clara, Sancti Spiritus, Trinidad, Cienfuegos, Bay of Pigs, Matanzas, Havana and/or Pinar del Rio. 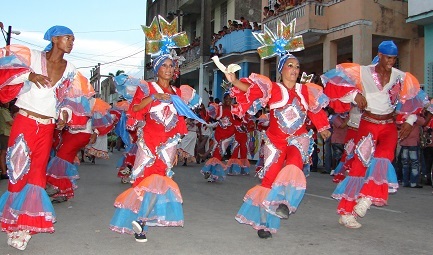 Read the post and view pictures of Carnival by Kelly, Compass and Camera travel blog. Schedule revised 1/19/19. Program subject to change. HAVANA, CUBA—“Where are you from?”, asked the 20-something as he passed me on the street in Havana. America, I replied. “I love America” he declared, before turning into one of the city’s many restaurants. He likely was a member of Cuba’s growing private workforce. However, opportunities for young Cubans are too few. State controls continue to stifle the economy. Ironically, among the biggest barriers to reform is President Donald Trump, who seems determined to preserve the fading communist dictatorship. Increased economic ties to the U.S. are the best means for Americans to undermine the regime. Yet the Trump administration partially reversed President Barack Obama’s opening to Cuba. This switch hurt the island’s many private businessmen and women, who complained to me on a recent visit that they cannot get a hearing from the administration. In 1959, Fidel Castro and his revolutionaries swept the corrupt Fulgencio Batista from power. Alas they proved to be far better at tyrannizing opponents than uplifting citizens. President Barack Obama broke precedent and relaxed federal controls—many cannot be repealed except by Congress—allowing more travel and business. He also reestablished full diplomatic relations. On my recent trip, Cubans told me how his policy gave them hope for a better future. U.S. companies entered the Cuba market and tourists visited the island. The private sector grew to account for an estimated one-fifth of the economy and an even larger percentage of the workforce. Then last year President Trump limited business and travel. The rules are complicated and confusing. To be safe, tourists can use groups familiar with the regulations such as Cuba Educational Travel (CET), which handled my trip. However, many Americans simply choose to go elsewhere. Socialism failed because it always fails. Today the regime is unable to feed, pay or otherwise care for its people. I met an anesthesiologist washing dishes at a private restaurant to help ends meet. After Raul Castro took over, observed one Cuban, “the people thought within a couple years things would change.” But his minimal reforms fell far short. Ongoing constitutional reform largely reinforces the status quo. His retirement as president so far has had limited impact. However, the regime no longer possesses an information monopoly. People have increased access to cell phones, flash drives, and a relatively free internet. A staff member at a communist publication told me that perhaps 80 percent of people received alternative news. The regime still treats opponents harshly, but criticism is heard. A Western journalist told me “Obama’s visit was tremendously challenging, like Kryptonite,” for the government. Also putting pressure on the regime is the flight of the young in search of economic opportunity. A former government official said only one of his four grandchildren remains in Cuba. Tourists bring ideas as well as money. Private investment has a significant political impact. “If you want to create more space for debate, expanding the entrepreneurial class is one way,” argued Laverty. “We need the Americans back,” one businessman desperately exclaimed. De la Rosa asked me to let people in Washington “know they are hurting us. 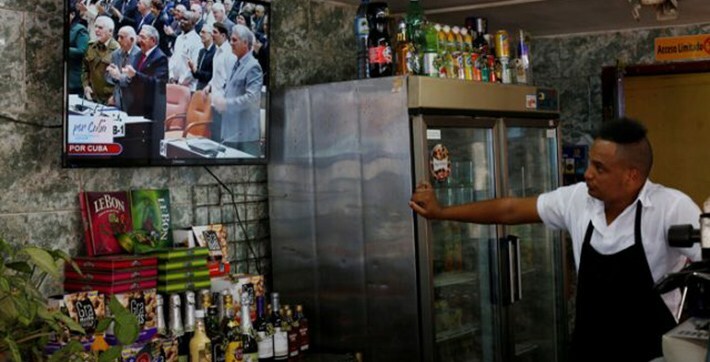 They are hurting common people.” And empowering opponents of change in Havana. It is time to leave Americans free to deal with Cuba. Undoubtedly, the current process of "consultation" with the people on the Draft Constitution has aroused great interest and broad and conscious participation by the citizens. The meeting to which we were summoned by our CDR and attended by citizens belonging to three CDRs, all from one of the constituencies of the Consejo Popular Colón-Nuevo Vedado of the Plaza Municipality, was proof of this broad participation. Of the meetings of all kinds convened by any of these CDRs, this was the one that attracted a larger and by far more active participation of citizens. The organization of the meeting was adequate. The room where it was held had enough seats. It began at the time for which it was convened, the two citizens who chaired the meeting conducted it with efficiency and full respect for the opinions and suggestions of the participants and proceeded with proper order. Overall it was a very satisfying experience. A large number of the Titles and Chapters included in the Draft Constitution were the subject of the proposals, which focused more on those that refer to the Political Foundations; the Economic Foundations; Rights, Duties and Guarantees, and the chapter on the President and Vice President of the Republic. Because of the seriousness with which the proposals were presented, their content and number, in a meeting attended by plain and common Cubans, it is possible to appreciate a great willingness to introduce substantive changes in the current political, economic and social system in our country, respecting its fundamental bases of unity sustained in the role of the Communist Party and the social justice that the construction of socialism entails. - Expressly include that the Party, its organs, leaders, officials and employees act in compliance with the Constitution and the laws of the Republic. - Establish, promote and guarantee the right of Cuban citizens to invest in the national economy. - That the concept of private property includes, in addition to non-fundamental means of production, also housing and means of transport. - The possibility of handing over lands on property for the construction of houses by private citizens, with their own efforts. - Guarantee transparency in the administration and economic management of state enterprises and of budgeted institutions and companies. - Greater transparency and public information on political and administrative management. - To control and prevent the accumulation of wealth and the emergence of inequalities in society. - That the State assists in the adoption of orphans and homeless children and assisted motherhood. - That adoption is allowed by mothers or fathers who do not have partners. - That the State recognizes and protect unpaid workers. - That the election of the President and Vice President of the Republic be by direct and secret vote of citizens. - That the election of the Presidents of the Municipal Assemblies of the Popular Power be by the direct and secret vote of the citizens. Two participants made divergent proposals about the freedom of artistic creation: One sought to reinforce the freedom of artistic creation and the other limited its content to the respect of the values and principles of socialist society. One participant proposed the legalization of euthanasia. The desire for changes in the system is manifested especially in the proposals for direct election by the citizens of the President of the Republic; those that limit the concept of the Party as "superior force" and subordinate it to the legality established by the Constitution; those that seek to guarantee the right of Cubans to invest in the national economy, and the greater information transparency throughout the political and economic system. Two concerns expressed at the end are also of great interest and came from two citizens among the youngest who attended, both ladies. They want to know what is going to happen with the proposals, how will be informed what happened with them, how were analyzed and the basis of whatever decision is made about them. To achieve a true consensus they ask for the greatest transparency and argumentation. One of the two citizens who led the meeting said that until that night, only in the meetings held in the Plaza Municipality, more than 17,000 amendments proposals had been collected. The experience of our own meeting, plus the comments and observations we have heard from other meetings, shows that, without doubts, this consultation process, whatever its formal outcome, is an important additional step in getting the classic genie out of the bottle and it will be very difficult to get him inside again, in this case the genie has a popular character and he is wishing to express his ideas and criticize with freedom. * Nuevo Vedado is in Cuban terms a middle class area. Many of the residents are professionals and higher level administrators. Raúl stated that the report on opinions expressed by all sectors of society serves as a valuable working document, which should be preserved and further utilized, adding that the population's approach to the assemblies was impressive, arriving well prepared and offering ideas to enrich the debate. Homero Acosta Álvarez, Council of State secretary, presented a detailed report on fundamental aspects of the popular consultation and the latest version of the draft Constitution. He commented that, throughout the process, the democratic nature of the consultation was praised, and satisfaction expressed that importance was given to the population's opinions. He emphasized the people's active participation, reiterating that the consultation had been a veritable constituent process. More than 8.9 million persons attended the meetings, during which 1.7 million commentaries were made. He reported that all of the opinions expressed had been carefully analyzed and had a significant impact on the new draft. Conner Gorry is a writer and journalist from New York who has called Havana home since 2002, where she works as Senior Editor for MEDICC Review, the only peer-reviewed journal in English dedicated to Cuban health and medicine. In addition to contributing to many newspapers, magazines and anthologies, her recent books include 100 Places in Cuba Every Woman Should Go; Cuban Harlistas: Mi Amor; and Havana Street Style. Her blog, Here is Havana, has been called some of the best writing that is available about day-to-day life in Cuba. In 2018, she published TWATC, a collection of poetry and prose, available at Cuba Libro, the English-language bookstore and café she founded in 2013. Follow her adventures on Twitter, @ConnerGo. Q: Where are you currently living? Q: When did you move to Cuba? Q: Is this your first expat experience? A: I had been to Cuba as a volunteer almost a decade before I moved and was immediately smitten. I kept trying to return but it was too expensive and difficult given the hostile relations between the USA and Cuba. After September 11th, I was eager to leave New York and was offered a job as a journalist covering the health system for an international peer-reviewed journal. Fortune shined on me and I jumped at the chance. Q: What do you enjoy most about Havana? How would you rate the quality of life compared to the USA? A: Having grown up in violent, drug-riddled New York (this was pre-Giuliani) and travelled extensively around Latin America, Havana is wonderfully safe. I can walk home alone at 3am, children play freely in the streets and around their neighbourhoods, and there are few homeless people, no intravenous drug users and few guns. Cubans, on the whole, have a wicked sense of humour which also makes it much easier and fun to face all the challenges of living here. Q: Any negative experiences? What do you miss most about home? A: I’ve had tons of negative experiences but I always tell people: no matter where you live, you have to take the good with the bad. Utopia doesn’t exist – you have to find somewhere and make your home in a place that fits your personal philosophy, needs and desires. Having said that, the scarcity of internet is a big negative for me professionally. Things have improved in recent years – we now have public WIFI in parks for example, but it’s not practical for me to take my laptop to a park to upload manuscripts, file stories and have virtual meetings. I miss my family and friends mightily and the lack of internet and price of a phone call makes this even more difficult. Lastly, there are innumerable types of food I miss terribly – cheese, bagels, granola, Indian and Thai food, tofu – the list goes on and on. My luggage coming back to Cuba is always packed with all kinds of foodstuffs. On my most recent trip, I brought back tortillas, pounds of dried cranberries and apricots, sunflower seeds and trail mix, Hershey’s syrup and tons of other food that is not available at any price in Cuba. This is a key difference between Cuba and almost any other expat destination. There are some things here that no amount of money can buy. You can’t go into the fanciest store or ethnic part of town and find mushrooms or brie or flatbread. Q: What are the biggest adjustments you had to make when settling into expat life in Cuba? Did you experience any particular elements of culture shock? A: I had been to Cuba before, for a month only, but what a month! This was during the economic crash of the 90s known as the “Special Period” typified by 16-hour daily blackouts, no transportation and severe food scarcity. I come from a resource-scarce background, so it wasn’t too difficult adjusting to the lack of things but it was very tough – and still is – getting used to how gossipy and extroverted Cubans are. They’re all up in everyone’s business and I’m from New York where you don’t know your neighbours’ names and life is very private. You can be anonymous in New York. Not in Havana! Language can be a major issue. Even native Spanish speakers can have trouble with Cuban Spanish, so don’t assume that since you speak Spanish that you’ll understand what your neighbours are saying about you. There’s also a certain lack of logic to many aspects of life in Cuba. I’ve had my fair share of this since I opened Cuba Libro, the island’s only English-language bookstore and café. The bureaucracy can be maddening but I’ve learned from Cubans to persevere. Q: What’s the cost of living compared to the USA? Is there anything particularly expensive or particularly cheap in Cuba? A: This is a tricky question because many foreigners don’t live like most Cubans – taking public transportation, in extraordinarily affordable or free housing, without internet at home, shopping at the market closest to their home etc. So, it can be extraordinarily cheap but few full-time foreigners live this way. Buying a car is unbelievably expensive – even for the most basic hatchback. Then there’s the very robust black market where you can buy just about anything. However, it usually takes foreigners a while to figure out how this works. Housing can be cheap – you can get a two-bedroom apartment close to the water in Havana’s hippest neighbourhood for very little. But only permanent residents (a difficult immigration status to procure) are permitted to buy property so as I mentioned above, sometimes it’s not a question of money but access and permission. Then there’s the “foreigner tax”. It is nearly impossible to pass for Cuban if you are not, and the cost of anything – whether it’s a plumber or an ornamental plant – will carry additional cost just for being from somewhere else. Q: How would you rate the public transport in Cuba? What is your most memorable experience of using Havana’s transport system? A: Public transportation is one of the city’s and country’s most pressing problems. There just isn’t enough. It’s heavily subsidized by the government, so the inner-city bus system costs a fraction of a cent – but you might have to wait an hour or more for a bus to come by. There are other options. Shared taxis and cooperative buses are also affordable, but these operate on fixed routes and so might not be useful depending on where you’re going. Also, the average monthly salary of the majority of the population is incredibly low, so taking a collective taxi to and from work every day just isn’t fiscally possible for most people. 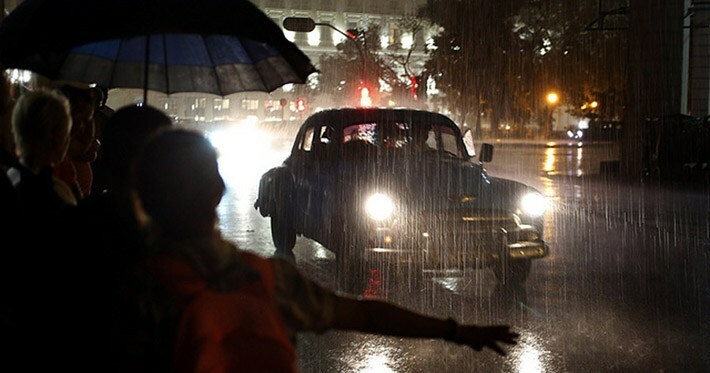 For these reasons, hitchhiking, even in the heart of Havana, is a common occurrence. One of my favourite forms of transport is the lanchita that goes across Havana Bay. One route goes to Regla, the other to Casablanca. This little ferry is used by all kinds of Cubans shuttling themselves between home, work and fun. Very few visitors even consider hopping on the boat to the other side of the Bay. You can bring bikes on the lanchita and visiting Regla is like stepping back in time: more pedestrians than cars, wooden houses listing downhill, and home to the Virgin of Regla, a major player in Afro-Cuban religions. Those who hop on the boat to Casablanca usually go visit the giant Christ statue at the top of the hill from the ferry dock, but shouldn’t miss the nearby Finca Agroecológica El Rincón del Cristo, a reforestation programme ribboned with trails through endemic flora and medicinal plants, where you can sip cold coconut water straight from the nut, opened with a machete by folks who are part of the work training programme there. Q: How would you rate the healthcare in Havana? Have you had any particularly good/bad experiences with regards to doctors and hospitals? Are there any hospitals you would recommend? A: Cuba is renowned for its national universal health system and care. Although the basic facilities might be a bit shocking to people from the developed north, the statistics (verified by various UN agencies including WHO and PAHO) bear out the success of the Cuban approach. Life expectancy, infant mortality, under five mortality and other major indicators are on par or surpass most industrialised countries. Add to this the fact that Cuba has a robust biotech and pharmacological capacity, with unique vaccines and therapies that are sold all over the world, where nearly 70% of the medications approved for use in the health system are produced domestically, and there’s one doctor for every 150 patients. Take all these factors into consideration and you start to see a very different health picture from other developing nations. Cuban healthcare is so good and affordable that many foreigners come to Cuba specifically for medical tourism – although US citizens and residents are prohibited from doing so by US restrictions imposed by the State Department. The general hospital for foreigners is the Cira García hospital in Playa, but there are specialist hospitals for neurological conditions, for drug rehabilitation, and more, plus centres for specific conditions and diseases which foreigners can also access. Q: What are the biggest safety issues facing expats living in Cuba? Are there any areas expats should avoid? A: Cuba is an extraordinarily safe country and Havana a safe capital – as I mentioned above, safety is one of the things I love about my adopted home. Sure, there are some super shady neighbourhoods, you wouldn’t want to wander around El Fanguito or Los Pozitos unaccompanied, but in general, the most dangerous threats here are dengue and giardia – neither of which are life-threatening. Q: How do you rate the standard of housing in Havana? What different options are available for expats? A: You have to understand that Cuba is very different from almost any other country: not just anyone can live here. You need permanent residency to buy a home or temporary residency to rent long-term. These are not easy to resolve, so unless you are posted here for a job which will provide housing, living in Cuba for any length of time is a dream most foreigners will never realize. Canadians have the best and most practical possibilities because they can be here on a tourist visa for six months – this is the longest permissible stay for citizens from any source country as far as I know. In this case, they must rent a legally licensed house which runs a high minimum charge per month for a small apartment. Q: Any areas or suburbs you’d recommend for expats to live in? A: Popular areas for expats include Vedado, Miramar and farther afield, Siboney. Q: How tolerant are the locals of foreigners? Is there obvious discrimination against any particular groups? Have you ever experienced discrimination in Havana? A: Foreigners are almost universally viewed as “ATMs with legs.” This type of economic discrimination happens every single day with foreigners, whether they’ve lived here 17 years like me or just arrived yesterday. Prices are higher, bills are padded, and similar financial shenanigans are happening all the time. Because Cuba is so complex, foreigners are often viewed as dummies just off the turnip truck and lacking in any kind of knowledge of the ‘Cuban mecanica’. That being said, one of the things that has kept me here for so long is that I’m constantly learning. Each and every day I learn something new here. It’s so confusing in fact, that my Cuban friends and family are often hard-pressed to explain certain things to me. This can be very trying for successful, smart expats, particularly spouses who are accompanying their family on a job posting but don’t have employment of their own in Havana. It is very, very difficult to obtain a job as a foreigner here unless it is a previously arranged international posting. Being treated as dumb or at the very least naive day in and day out can be difficult. Q: Was meeting people and making friends easy? How did you go about meeting new people? A: There is really no cohesive expat community here – many people are isolated for one reason or another. The embassies host parties once in a while, the Canadian embassy is famous for this, and there are all sorts of cultural events hosted by the British, Dutch and Norwegian embassies. But you’re usually meeting people from your own backyard at these events, in which case: why did you move to Cuba?! Expat bars and clubs like those that exist elsewhere are just not part of the fabric here. While there are a handful of fancy restaurants, cafés and shops frequented by comparatively moneyed foreigners, it takes some doing to ferret these out and there’s no guarantee that you’ll meet anyone over that eggs benedict. Meeting Cubans is easy, they’re so incredibly social, but beware: foreigners are often seen as easy targets for resolving material and financial issues. If you don’t speak Spanish, your circle of friends will contract accordingly since English is still gaining momentum here and it’s astonishing how many people don't speak English in Havana. Q: Have you made friends with locals or do you mix mainly with other expats? What advice would you give to new expats looking to make friends with Cubans? A: My circle is almost entirely Cuban. I have a few good friends from elsewhere, and each of them has lived in Havana for decades. Good tips/places for meeting Cubans in addition to Cuba Libro include: taking the bus or collective taxis, joining a Tai Chi or yoga class (these are extremely popular with Cubans), enrolling in a class at the University of Havana and taking every opportunity offered to accompany on a visita, this is a cultural must do for all Cubans where they stop in at homes of friends or family to share coffee and gossip. Q: Was getting a work permit or visa a relatively easy process? Did you tackle the visa process yourself, or did you enlist the services of an immigration consultant? A: It is nearly impossible to get a work visa – usually folks who are posted here have that taken care of by their employer. Cuba has very strict immigration requisites and if you’re from the United States, you can basically forget about it. If you’re offered a posting in Cuba, be sure to specifically ask about the visa process and who is responsible for securing it. Q: What is the economic climate in Havana like? Do you have any tips for expats looking to find a job? Which resources did you find most useful? A: Once on the ground, it is nearly impossible to find a job in Havana. Opportunities are limited, local talent abounds and competition is stiff. This is a very difficult and different context for work and life so if you are not independently wealthy and/or are very resourceful with a lot of time on your hands, I would suggest a visit first before diving in. People come to me all the time with dreams of moving to Havana after spending a few weeks here. That’s a vacation, real living is a whole lot tougher. Living in Havana means long, random blackouts, sometimes going without toilet paper or running water, being duped by locals constantly, struggling with the language, fighting for public transportation, dealing with internet/computer/banking/bureaucratic chaos, facing food insecurity and on and on. Most of these issues cannot be resolved with money – this isn’t a context where throwing money at a problem brings resolution. It’s not a decision to be taken lightly! Q: How does the work culture differ from the USA? Do you have any tips for expats doing business in Cuba? Did you have any particularly difficult experiences adapting to local business culture? Things here can be incredibly inefficient, a lot of the economy turns on favours rather than simple supply, demand and cost. Work ethic can be sketchy and work may be cancelled with no notice for all sorts of random reasons from blackouts to unscheduled trips or meetings or crisis management. I have all kinds of experiences adapting to local business culture since I opened the bookstore/café at the very beginning of the private sector experiment here. One of the biggest challenges is finding reliable staff. It helps to have a very large network of friends and contacts, but even that is no assurance. Q: What are your favourite family attractions and activities in Havana? A: I love Parque Monte Barreto. Cuban families go here, one of Havana’s biggest green spaces, in droves on the weekend for picnics, pony rides, jumping in the bounce houses, etc. Parque Almendares, more towards the centre of town, is another place where there are cultural activities for kids on the weekends, rowboat rides, miniature golf and even a playground. There are plenty of playgrounds in and around the city. I have tons of content for expats travelling with family in my new book, 100 Places in Cuba Every Woman Should Go. Expat and diplomatic families often go to the western enclave/country club called Club Havana for swimming, pizza parties, tennis and the like. A: I don’t have children, but the International School in Havana is well-regarded. Q: Is there any advice you would like to offer new expat arrivals to Cuba? A: Do your research, learn Spanish, make Cuban friends and try to keep an open mind. Also be open to serendipity – Havana is the kind of place that embraces those who get it/can roll with it while chewing up and spitting out those who don’t.